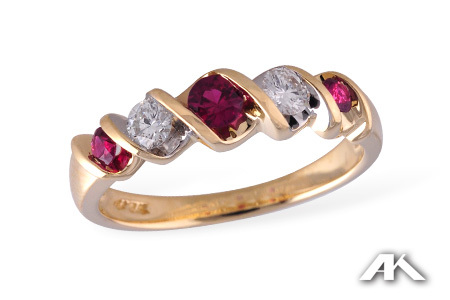 Rubies and diamonds for Valentine’s Day? Who wants to be the hero? Of course we can also make this ring with Blue Sapphires or of 14k white gold.